Few things can be more annoying than wanting to sign into a website and forgetting your username or password. In these days of heightened web security, when we all need super-secure passwords (you can view my video on how to create secure passwords) it’s easy to fall into the trap of creating different long and complex passwords for each website that you then forget. You can always click the Forgot password link and create a new one, but this slows you down, is annoying, and makes it likely that you’ll only create a password that you’ll forget again later anyway. Fortunately there is a tool in Windows that allows you to see what passwords you have set for different websites. 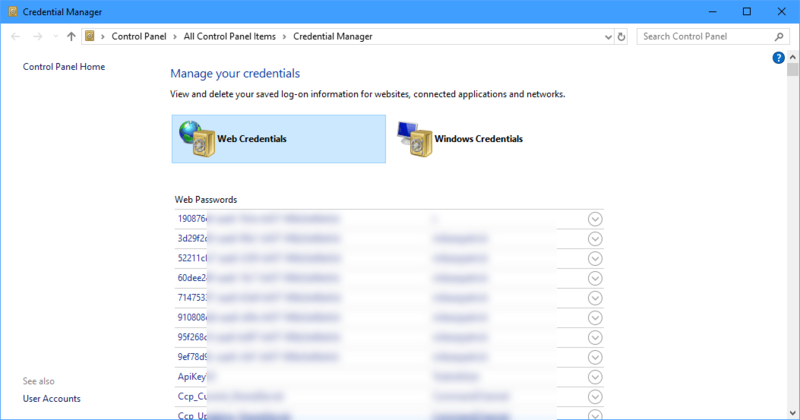 In the Start Menu search for web credentials and open the Credential Manager when it appears. The Credential Manager displays a list of all the websites and services you have saved passwords for. Scroll down the list until you see the name of the website you’re trying to access, and then click the down arrow (∨) to its right. This will display details of the username with the password blanked out. Click the Show link next to the password and then you’ll be asked to either type your password or pin for your Windows PC, or to authenticate yourself using Windows Hello. With the authentication done the password will be revealed to you and you will be able to use it to sign into the website or service successfully. 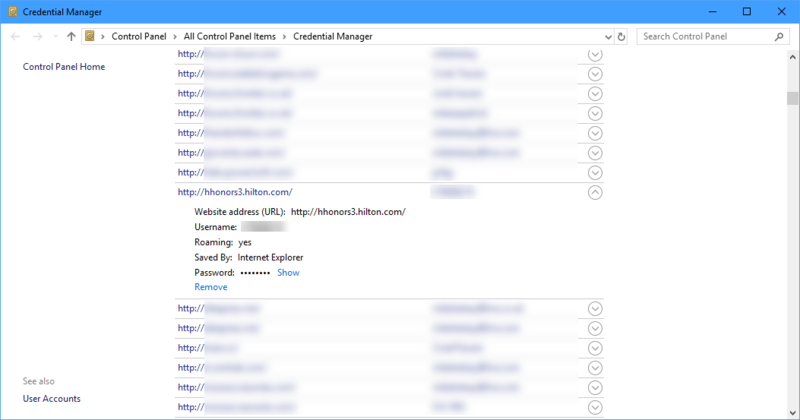 The Credential Manager is a great tool for managing forgotten usernames and passwords in Windows, so don’t forget about it as well.